Get outdoors at Scuba & Snorkeling and Nature & Wildlife Tours. Visit The Rocks and Museum of Sydney for their historical value. Explore Sydney's surroundings by going to Featherdale Wildlife Park (in Blacktown) and Norman Lindsay Gallery & Museum (in Faulconbridge). And it doesn't end there: kick back and relax at Bondi Beach, browse the eclectic array of goods at Sydney Fish Market, admire the striking features of Sydney Opera House, and examine the collection at Australian National Maritime Museum. For ratings, maps, traveler tips, and other tourist information, you can read our Sydney trip planner . If you are flying in from Myanmar, the closest major airport is Sydney Kingsford Smith International Airport. 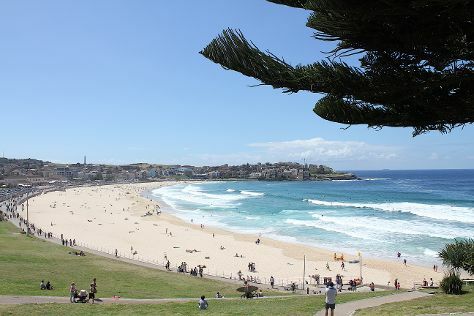 In February, daytime highs in Sydney are 31°C, while nighttime lows are 23°C. Finish your sightseeing early on the 25th (Mon) so you can travel back home.